Refugees get a lot of airtime these days. We’ve all seen the pictures of the overcrowded rafts and dead children washed on shore. We hear about what governments open their doors to them, and which ones have them tightly shut. We hear about Muslims, immigration, and walls all the time in this year’s unfortunate election jibber jabber. It’s a lot to figure out. Are refugees scammers? Just looking for better opportunities in better countries? Are refugees victims? Running for their lives from crazy leaders in hard places. Are refugees uneducated fools? Draining every person, place, and organization they encounter? Are refugees undercover sleeper agents? Slowly weaseling their way into our country to eventually destroy us? 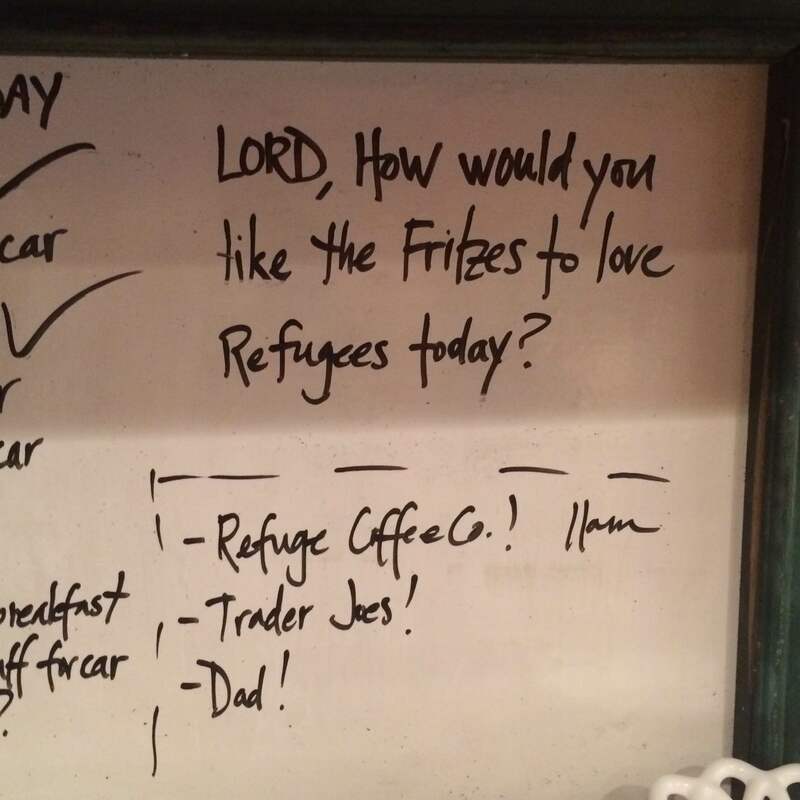 When we talk about refugees at our house, we talk about them as people. 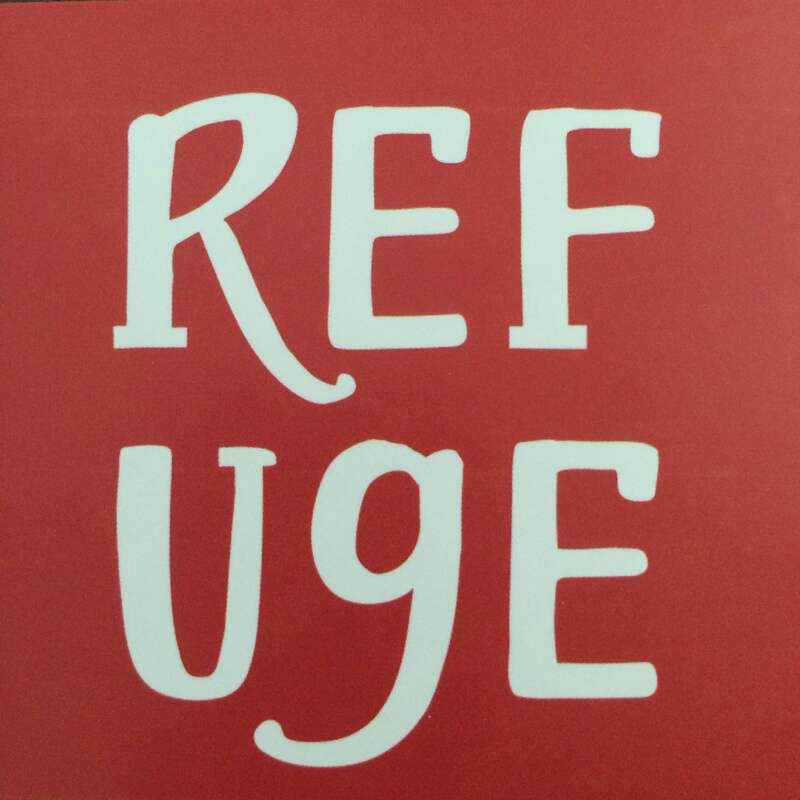 Refugees are people. They are dads that want their little girls to be safe. They are mamas grieving their dead sons. They are little kids that like toys and candy and are afraid of bad guys. Like all humans they need food, water, and shelter to survive. They all humans they need community, identify, and purpose to flourish. Here are links for actual official information about refugees entering the US. It’s a very long, rigorous vetting process. There are very high standards. It’s not the haphazard circus the media would have you believe. 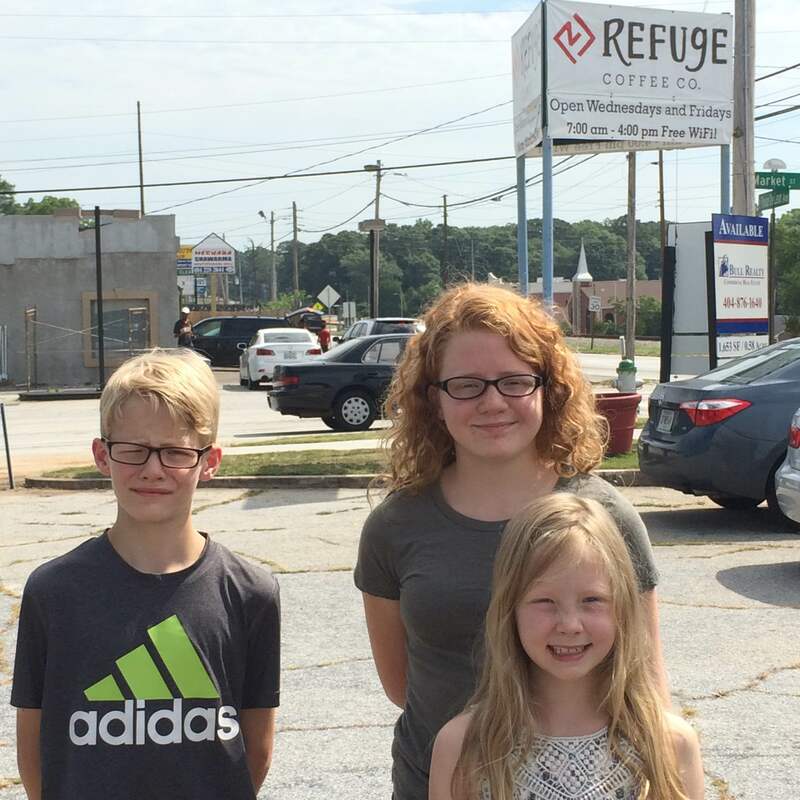 As a part of our 2016 Family Compassion Focus, our family is specifically learning about refugees in Georgia. 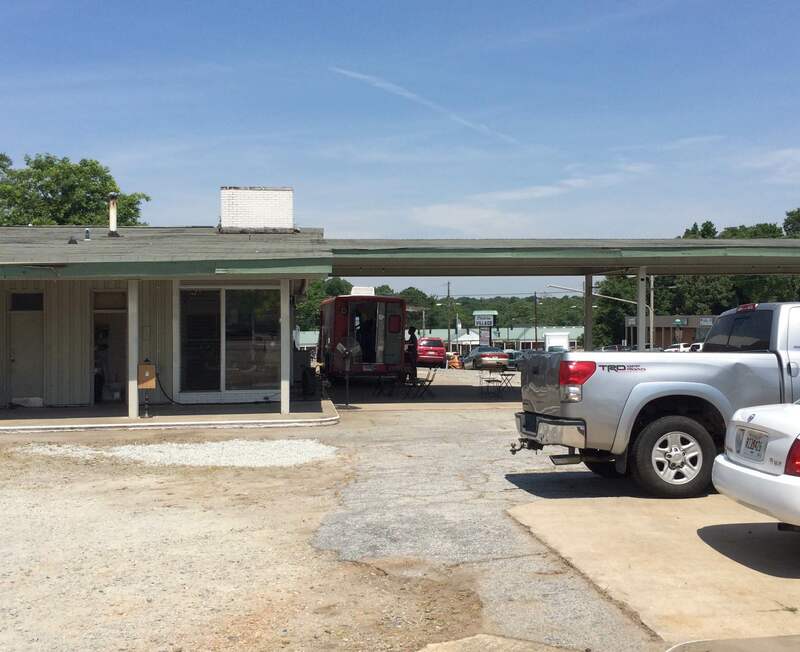 We found out Clarkston, a 1.4 square mile town just East of Atlanta, is considered “the most ethnically diverse square mile in America” (cbs46.com). 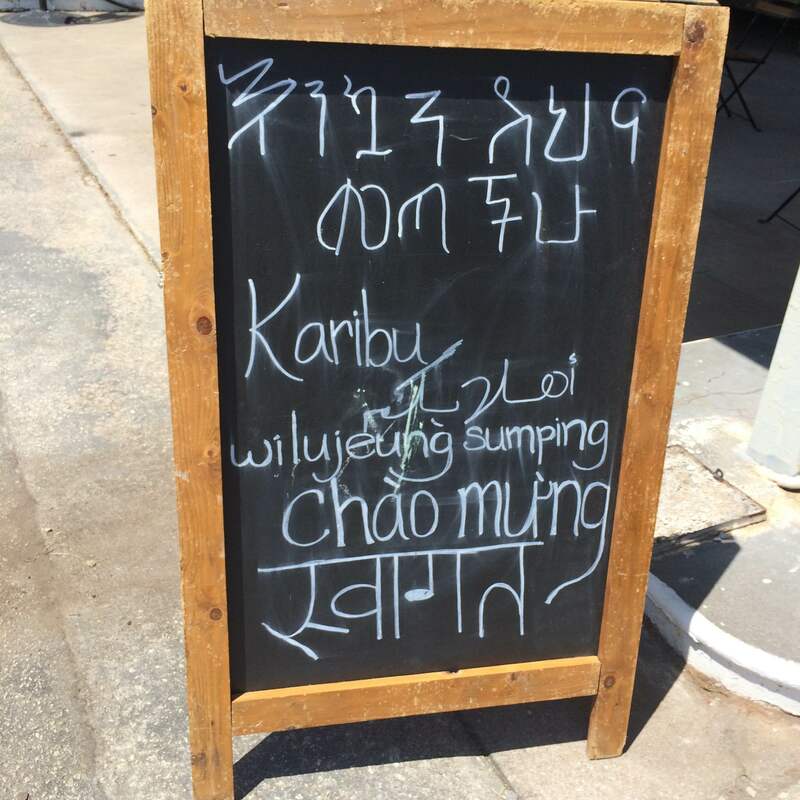 It is a welcoming place for refugees from all over the world. We were hooked. Greta and I started planning a fun Valentine’s fundraiser. 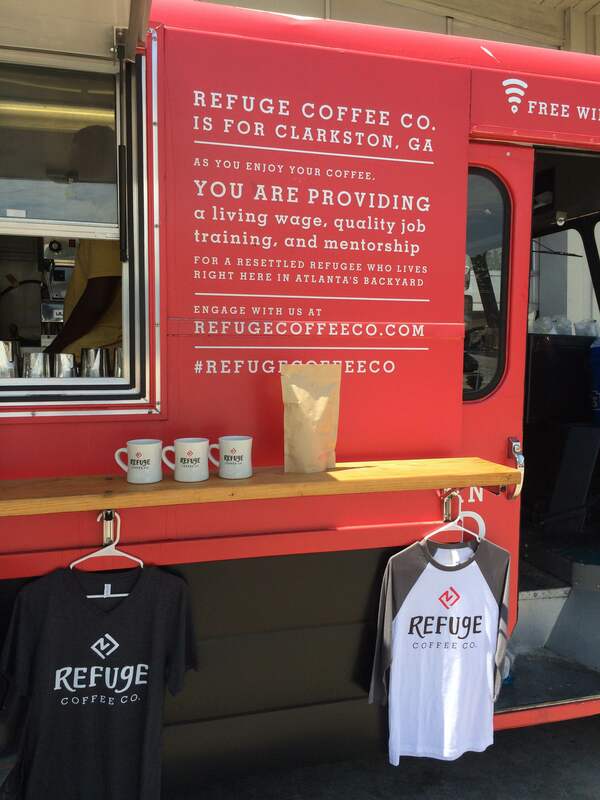 I contacted Refuge Coffee Company and had a great talk with the founder, Kitti Murray. Sadly, Team Fritz had other dragons to slay this winter, and we had to put our compassion projects on hold. Finally – finally – last week, we drove out to Clarkston. It was very hot and bright. Hotlanta in June. We were delighted. 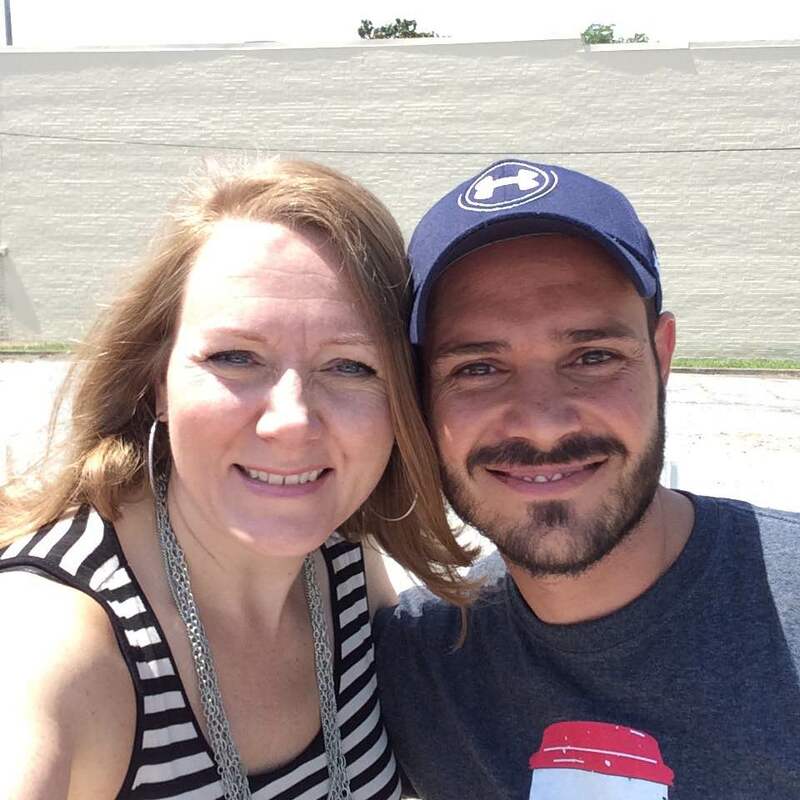 We met Caleb, Kitti, Leon, and Ahmad. 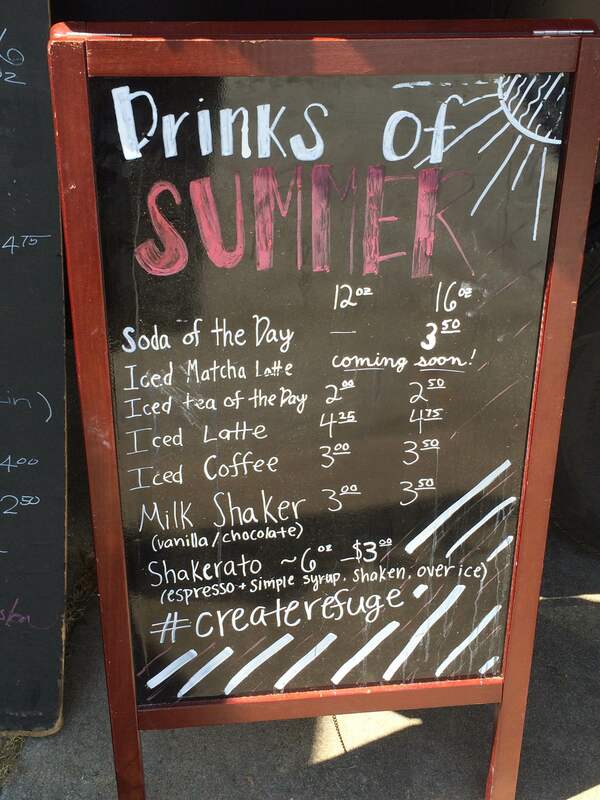 We drank matcha, americanos, chocolate milk shakers, and hibiscus teas. We ate huge croissants. We bought mugs, t-shirts, and coffee beans. We asked lots of questions. We learned lots of things. 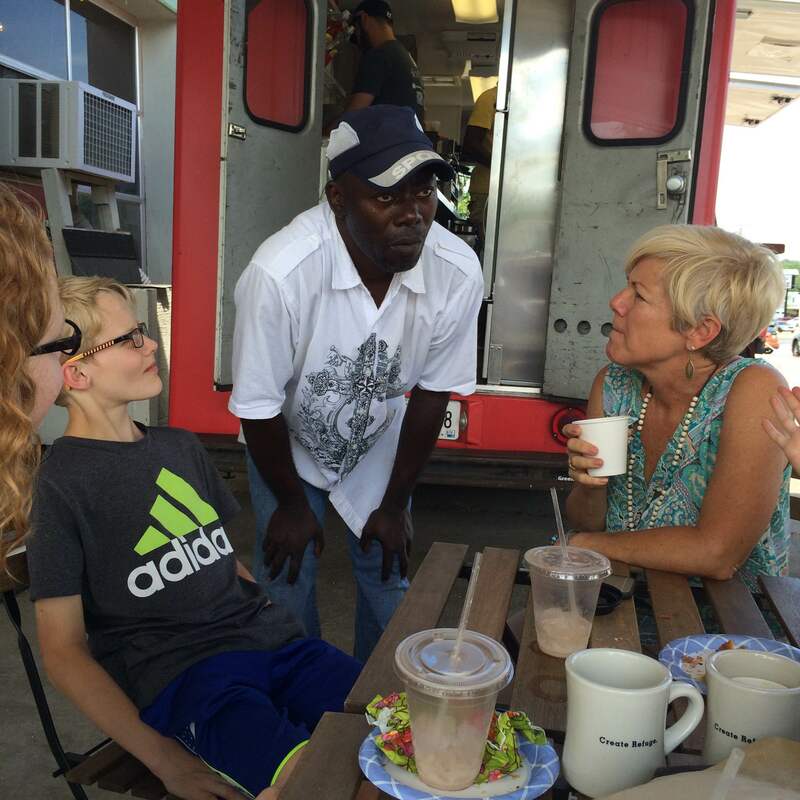 Before we came down the kids and I brainstormed questions to ask the crew at the coffee truck. Kitti graciously invited us to the tables closest to the fans under the shade in the former car dealership lot. 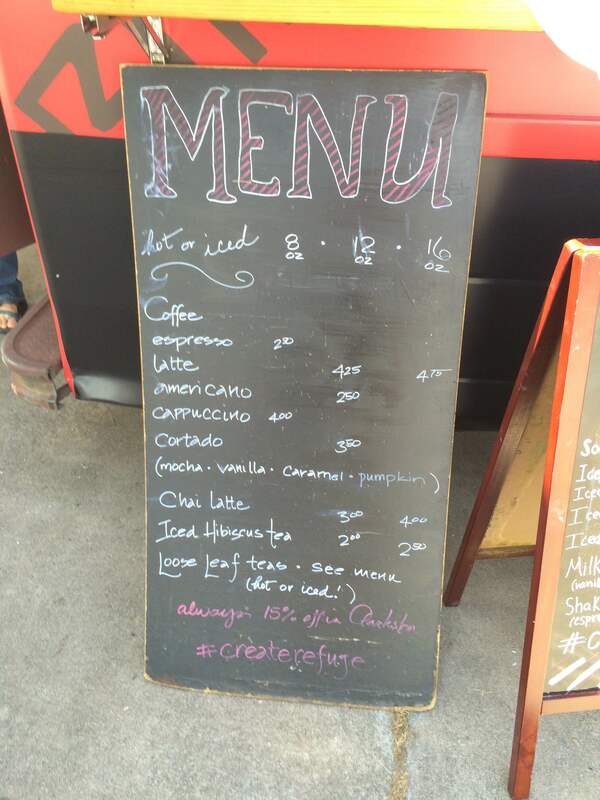 This is Refuge Coffee Company’s location. It used to be a car dealership, then a gas station. Now RFC rents this corner. I didn’t get pictures of the meeting spaces inside the building. It looks like a place I’d normally drive right by. But I’d be missing out. Good things are happening here. 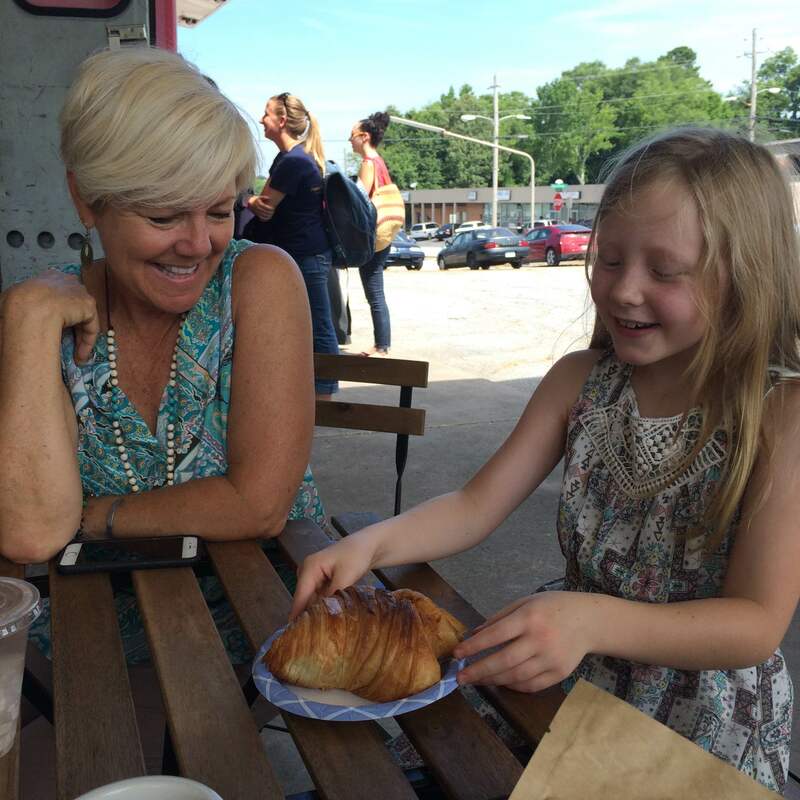 Kitti and Greta admiring that huge delicious croissant! Leon was very patient with all our questions when we ordered. When we bought beans for home he ground them fresh for us! …Also, life is hard here for people. We hear heart wrenching stories all the time…. 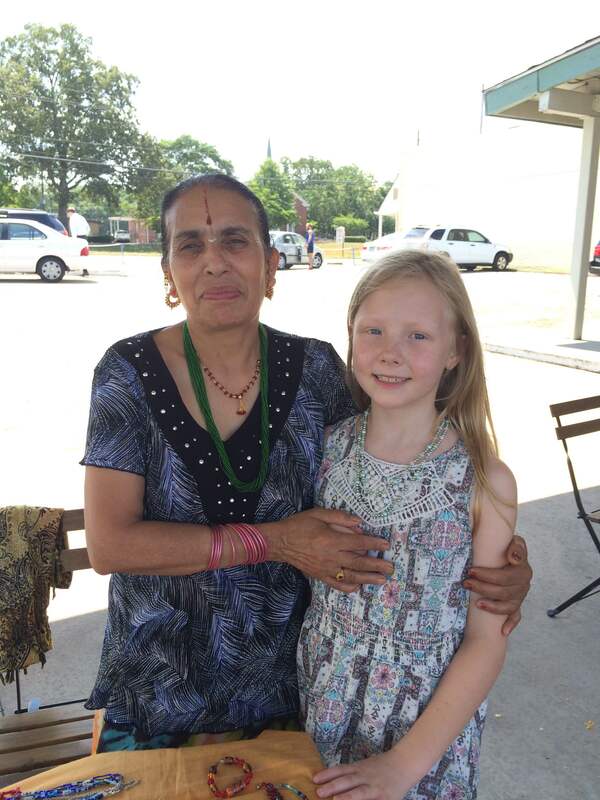 Greta chose a beautiful necklace made by Clarkston resident, Rudika. They smiled at each other a lot. Kitti: Leon, what’s the hardest part? Kitti: Yes! Learning how to run a business is hard. Caleb: Do you like to work here? Zoë and Caleb listening to Leon and Kitti at the back of the truck. Aimee: How did you come to work at Refuge Coffee Company? 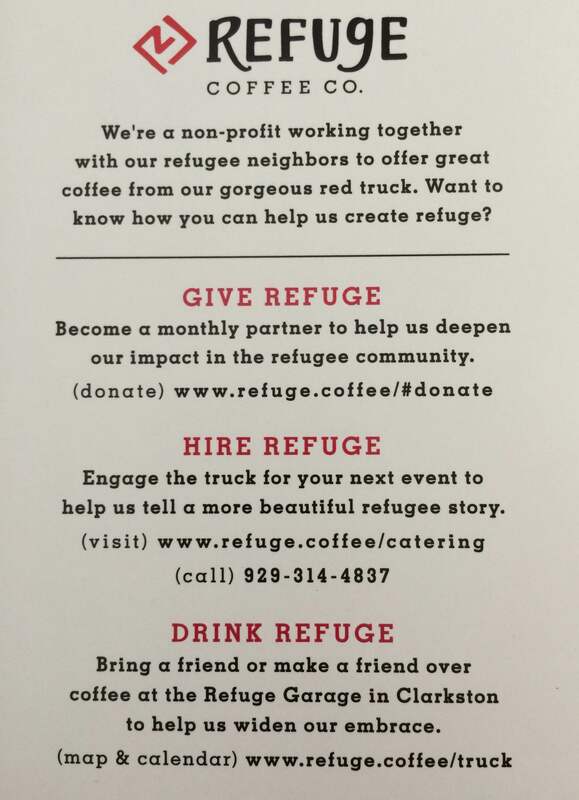 Aimee: How can we help Refuge Coffee Company when we don’t live in Clarkson? They just purchased the 2nd truck. The build-out is $75,000. They are looking to hire a job training specialist. They want to be able to pay that person $25,000. They have raised $20,ooo of a $50,000 matching grant. If they get the $100,000 they will be able to fully pay for the truck and the employee. Friends, this is so exciting! Do you want to do something to welcome refugees? Do you love coffee? 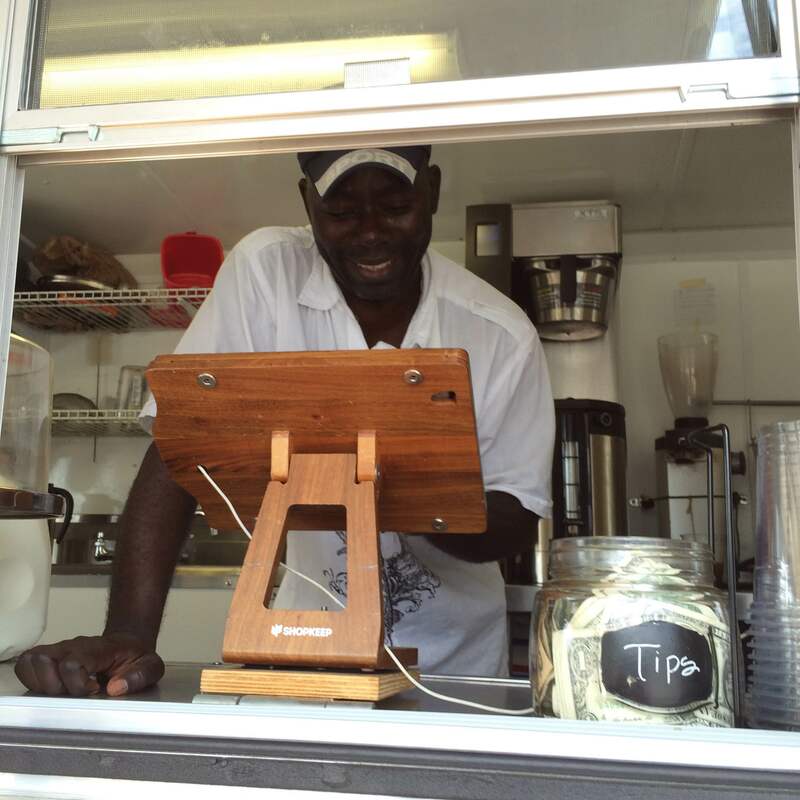 Do you love entrepreneurial risk taking? Would you like to join us? We have a bunch of ideas, but for now, we just got an unexpected $500 *refund* from our insurance company (for real). We are going to use that as a matching gift for an impromptu fundraiser! 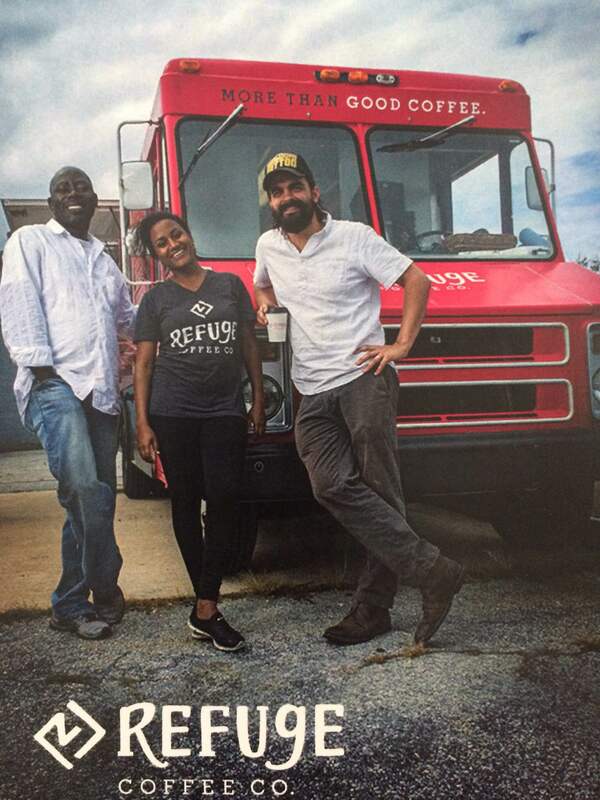 Let’s give $1000 to Refuge Coffee Company! You can put “Team Fritz” as your “organization name” when you enter your information to donate online.